How can I test this model out of a pool?The motors run for a few minutes and the stop.Is this normal?Which is an normal operation? I can't identify the chip that is depicted in the picture.It is getting hot after one minute and so.After this the upper motor (pump) stops. 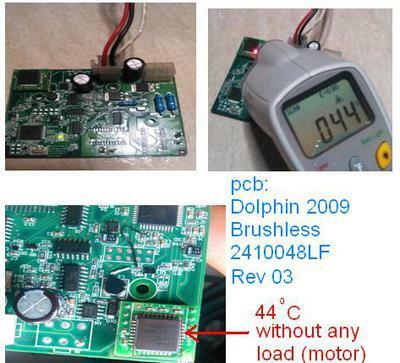 Any info for dc motors and the pcb will be appreciated. I have the same model broken. Im not sure but the component you ask for could be a giroscope, to know relative orientation of the device. My problem is a blown resistor (R19) of the two paired, so burned that i can see the color bar code. 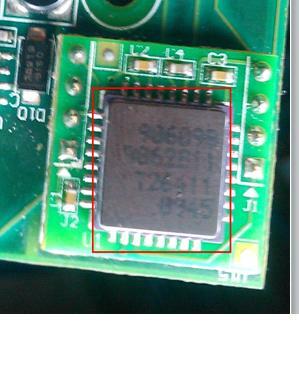 Could anybody post a more detailed image of it, that help read the color bands of the resistor?.